Geologists, writers, musicians and poets marvel at its nature. Stand on the beach and let the sand slip between your toes and think of the endless cycle that brought it here and takes it away again. 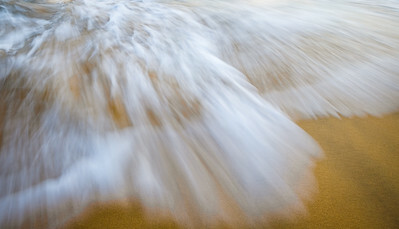 Watch as water rushes up the beach mixed with sand and foam. 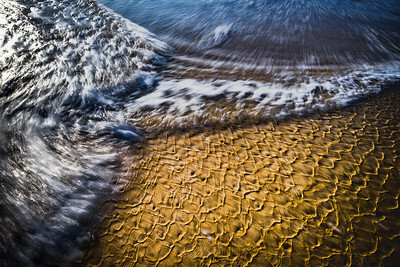 The wave fronts leave lace-like patterns of foam that quickly fade away and leave lines of sand. 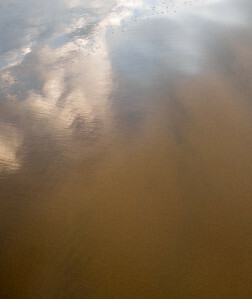 At low tide water saturated sand reflects the early morning yellow sun and blue sky. 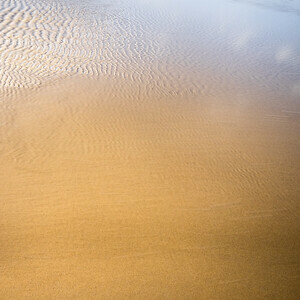 Later as the sand dries wind makes ripples in it and seagulls leave tracks. Over eons sand is settled and forms rocks again; back to its origins. Robert W. Service in “A Grain of Sand” saw the greatness that a small grain of sand might hold. And wonder what it means. be Solved in this grain of sand. 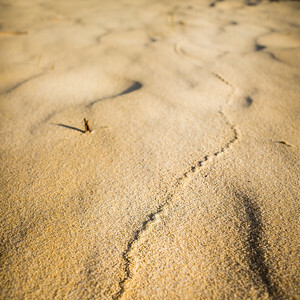 Michael Welland writes in Sand - the Never Ending Story, that a grain of sand comes with some history. Welland goes on in his book to describe the birth of sand from ground rocks, biological disintegration, volcanic eruptions and even meteor impacts but most commonly from weathering of every piece of exposed land to liberate quartz; Silicon dioxide – that makes up 70% of all sand grains. 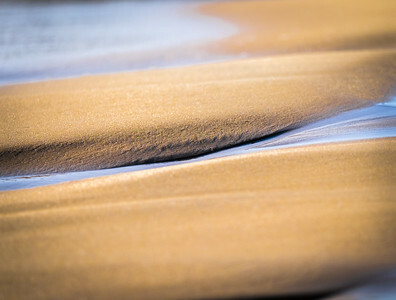 Size is important for sand – it defines it. Geologist Chester K. Wentworth established a scale that determines the difference between sand and mere grit and sand’s big brother; gravel and rocks. Bigger than 2mm: Gravel. Smaller than 0.0625mm: Silt and mud. 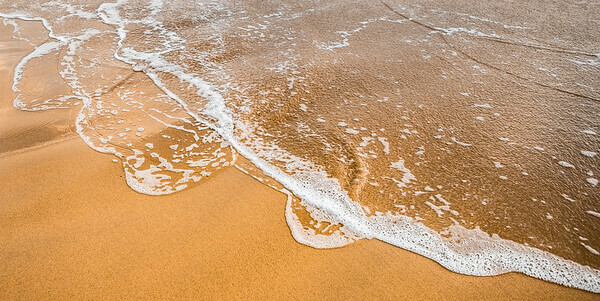 How sand behaves in water is also used to define it as, oddly sand is more easily shifted by water than silt – particles of mud and clay stick together while sand rolls on. Sand also partners with the imagination and teaching in many cultures. Milpatjunanyi means telling stories in the sand in the Pitjantjatjara language used in the region around Uluru – itself a monument made of ancient sandstone. In Vanuatu sand drawings are used to teach history, rituals, family histories, myths and stories of all kinds. The sand drawings are made up of straight lines, curves and loops drawn in the single continuous motion of a finger in sand. The word Geomancy, the art of divination, derives from an Arabic term ilm al-raml, the science of the sand. 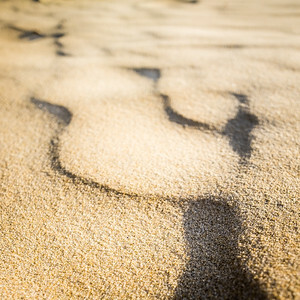 Many cultures use sand as a medium for telling the future. 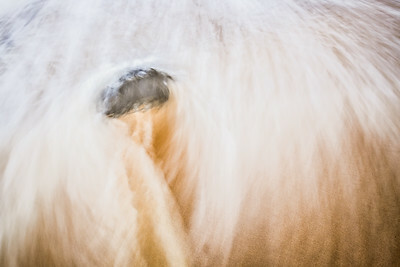 Sand is often used as a metaphor for the transient, useless and short-lived. For example, Lucky, in Samuel Beckett’s Waiting for Godot carries a suitcase filled with sand. Lucky is a hapless sole, a member of the exploited and dehumanized proletariat. Tied (literally in the play) to Pozzo, a member of the bourgeoisie, Lucky is reduced to a commodity to be sold at a fair. Sand and carrying it in a suitcase is argued by many commentators to represent the futility of Lucky’s life. But our society is relies on sand! Construction uses sand and lime to make concrete. 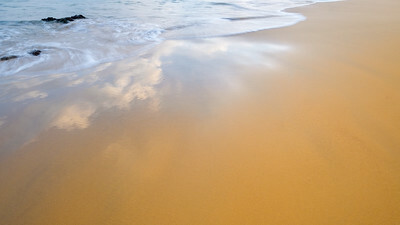 Electronics use silicon derived from sand. If there was no sand the lights would go out – literally. No glass to encase the burning filaments in a vacuum or silicon to make the diodes for LED lights. Modern uses for sand seem endless. 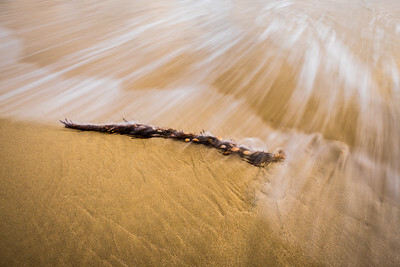 “…in the rivers, beaches, and deserts of the world, sand is also the medium for expression of patterns, microscopic and gigantic, of the earth itself, of nature, whose transient designs are themselves art” and listing all the uses of sand from A to Z, far to many to repeat here. 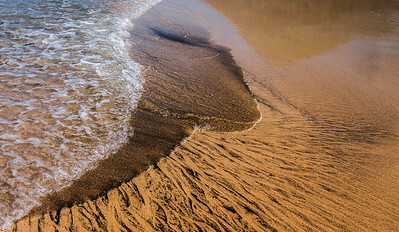 Next time you are at the beach feel the sand and look for its patterns and interactions with the water, wind and light.